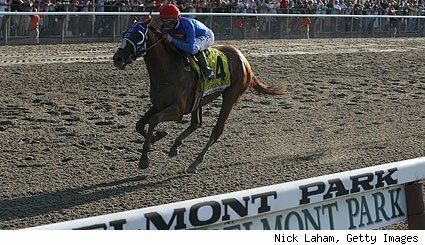 In a thrilling finish, a Bird won the 2009 Belmont Stakes, but it wasn't Mine That Bird. Jockey Calvin Borel's historic bid to sweep the Triple Crown with two different horses was derailed, as Summer Bird upstaged the Kentucky Derby champ in the "Test of the Champion." Kent Desormeaux, the Hall of Fame jockey who was denied a victory at the 2008 Belmont Stakes, finds redemption in the end. 3. Mine That Bird -- Jockey: Calvin Borel -- Trainer: Bennie Woolley Jr.